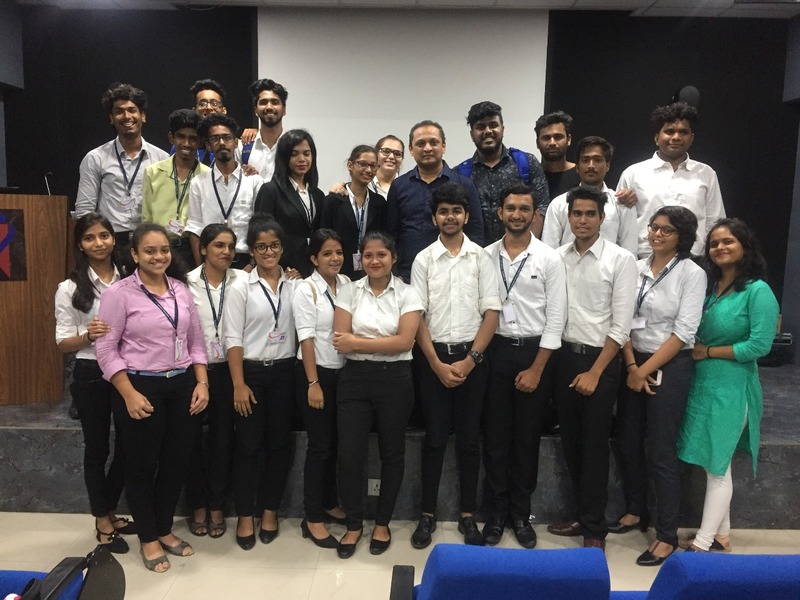 A seminar on 'A Career in Voicing' organized by the Department of BMM for the students Second Year was conducted on 6th July, 2018. Mr. Mayur Vyas, A Voice Artist was the Guest Speaker. He has been the Voice of Mr. Rajnikant in Hindi movies like Robot, kali, Kabali etc. The seminar enlightened the students about the opportunities in Voicing Career in Films, Anime and Advertising. Students got an opportunity to understand the about various concepts like Dubbing, Editing, Voice Over Script Writing etc. Enthusiastic students had a great time and experience with the speaker.